After making kit wine in an Indiana closet, Ali Mayfield left her UPS job and headed for West Coast wine country. A meeting with Stan Clarke convinced her that Walla Walla Community College was the ideal place to study winemaking. 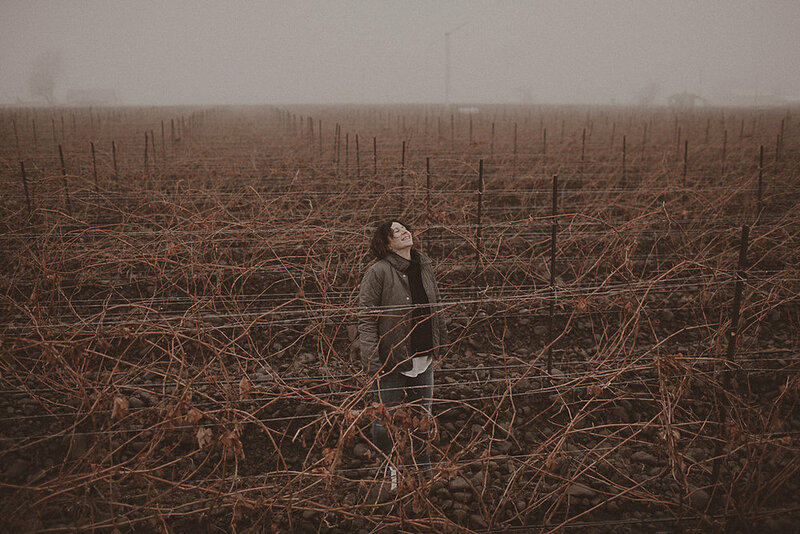 The hands-on education at the college, together with internships and jobs at Corliss, Long Shadows, and the Foundry wineries, provided her with an excellent foundation for launching her own wines. It was her Chardonnay that first intrigued Seattle attorney Mike Martin, who was looking to invest in a winery project and to contribute to the Walla Walla community. Ali shared a business plan, they talked wine over lunches and emails, and The Walls was born, with a first vintage in 2014. Creativity characterizes every aspect of The Walls, from branding, to winemaking, to distributing. The name doubles for the WA state penitentiary down the street, nicknamed both “The Walls” and “Concrete Mama,” rooting the new winery in a local landmark and local history. Another key to Walls branding is the instantly likeable cartoon character Stanley Groovy, created by New Yorker cartoonist Joe Dator. Stanley can be seen throughout the winery and on wine labels interacting with walls in amusing ways. But no amount of unique branding substitutes for wine quality, and there is plenty of that in every Walls bottle. You can taste for yourself at the spacious, recently renovated tasting room/winemaking facility, or at the new Passatempo Taverna, also owned by Mike and featuring creative cocktails, Italian food, and plenty of wines, including many Walls labels. Find out much more about all of the above in this interview.